Pineapple Upside Down Cake from Scratch, Anyone? Making a pineapple upside down cake was a challenge. I had not even CUT a pineapple before. Pineapple cores s’mores. 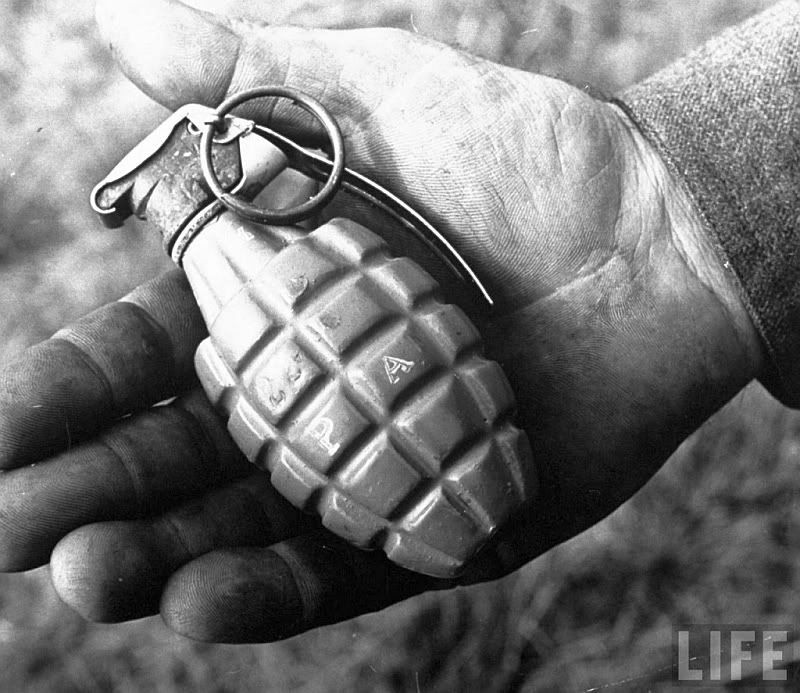 A pineapple was also WWII slang for an American grenade. The kind that blows up. I got the general recipe from Cook’s Illustrated, my Buddhist kitchen bible of sorts. Indeed, I did a sutra chanting before making the first cut into a pineapple. Taking the first slice into pineapple was like a mother going into labor for the first time. Not the pain – the apprehension. Should the cut be made to follow the pineapple shape? Or straight down? 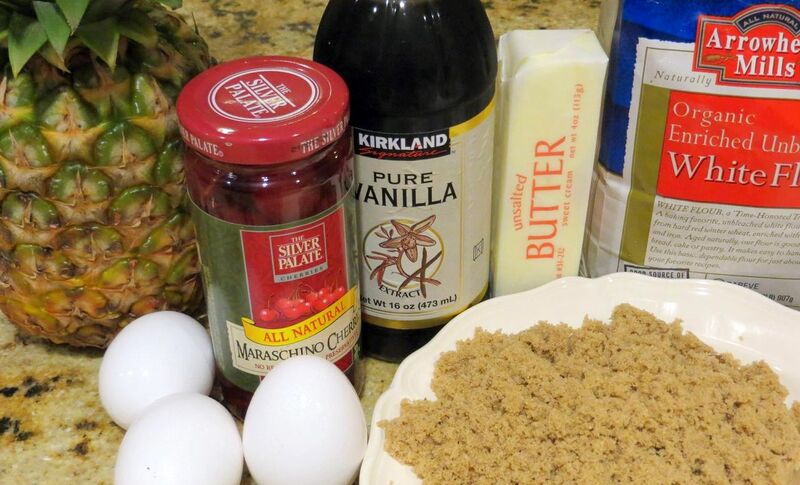 Heck, I cut two pineapples up to get the recommended four cups then threw them onto a skillet with the brown sugar. So far, so good? 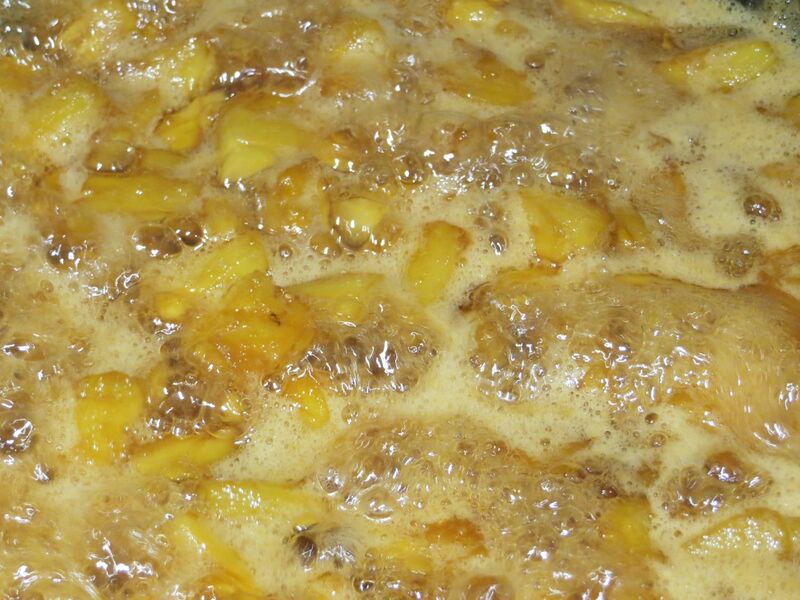 Pineapple chunks a-stewing. It was amazing to see how much they shrunk. 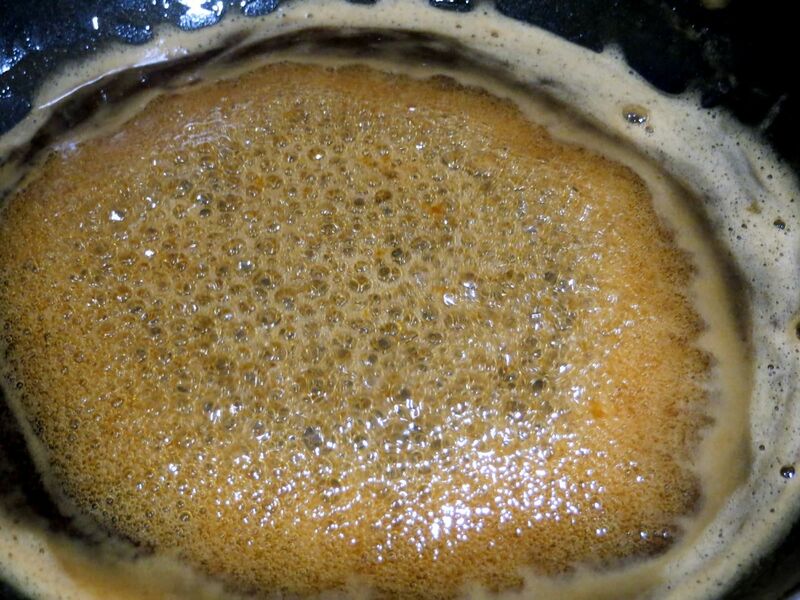 The conglomeration was then strained and the sweet smelling liquid was returned to the pan off the heat. The butter and vanilla extract was whisked in. 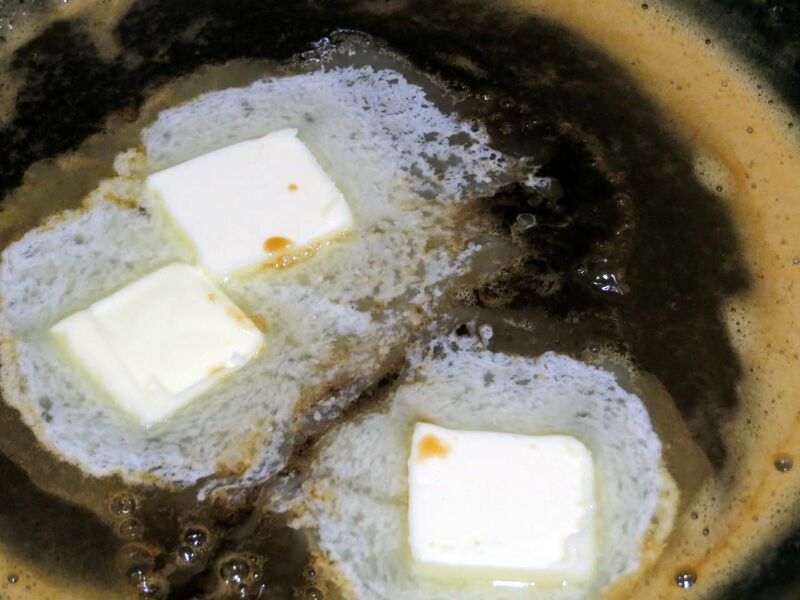 Butter and vanilla extract added off-heat and before whisking. Every last drop was poured into a 9″ cake pan. I made the cake batter as per the recipe. 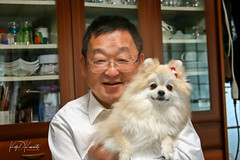 Importantly, it recommended two eggs plus the whites only from the third egg. It’s purpose was to help the cake support the weight of the pineapple and molasses-like syrup. The simmered pineapples were laid into the cake pan and syrup then dotted with the cherries. The batter – which was quite thick – was carefully dropped on the pineapples and smoothed over. I did my best to ensure the batter reached the sides but fell a tad short in some areas. Darn it. Before heading into the oven. I couldn’t make it to the edge all the way around. After 45 minutes in a oven preheated to 350F, it was done! 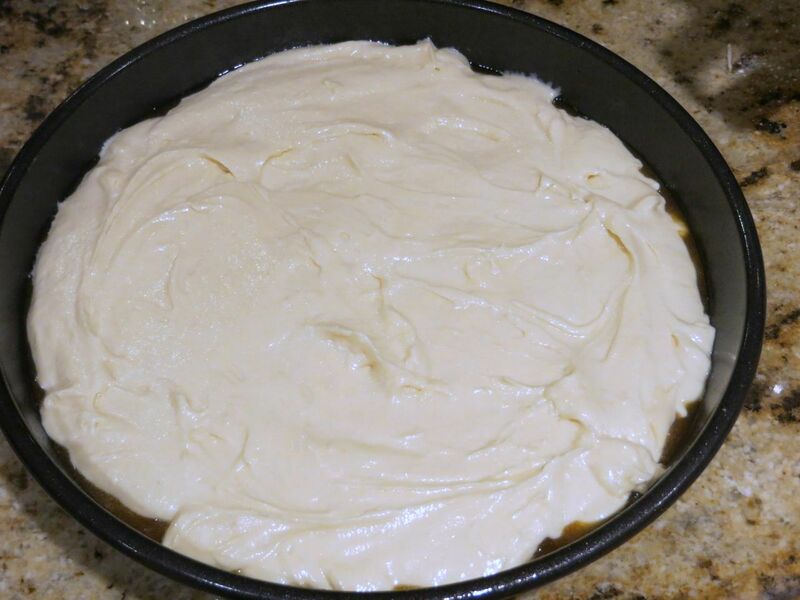 During cooling, I took a thin paring knife and carefully separated the cake from the sides. The chanting did me well, I guess. The flipping went flawlessly. Success – on the flipping part! Not the taste! 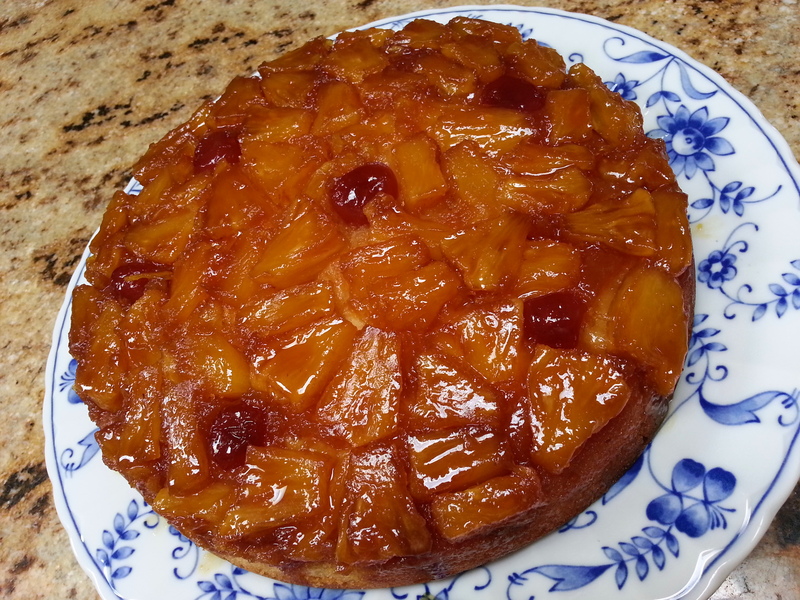 So who likes pineapple upside down cake? We’ll find out today if the cores-smore’s are the Snowden of baking. I hope I cut enough of the core out.